Описание:This book consolidates several different perspectives on antitrust law. First, Keith Hylton presents a detailed description of the law as it has developed through numerous judicial opinions. Second, he presents detailed economic critiques of the judicial opinions, drawing heavily from law and economics journals. Third, he integrates a jurisprudential perspective that views antitrust as a vibrant field of common law. 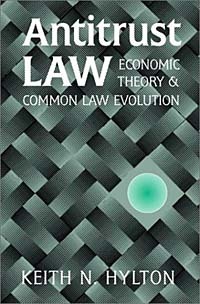 This last perspective leads him to address issues of certainty, stability, and predictability in antitrust law, and to examine the pressures shaping its evolution.